I have been lax about uploading things to my blog, so thought I would try to catch up a little this morning. 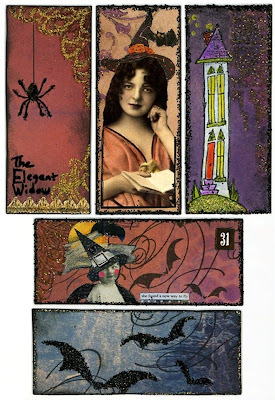 This first set of ATCs are the ones I made for Beckie's Map Swap on Paper Traders. 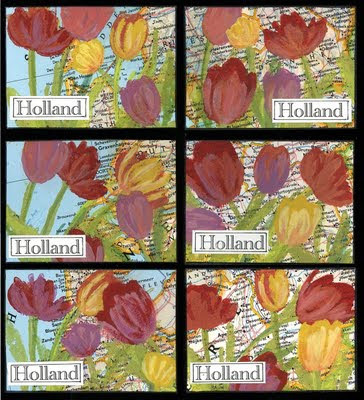 I like the effect of the painted tulips over the portions of a map of the Netherlands. Next we have some Halloween Moos, also made for a Paper Traders swap hosted by Beckie. These tiny cards are only 1-1/8" x 2-3/4". It is quite a challenge to come up with a design to fit such a tiny space, but so fun too. 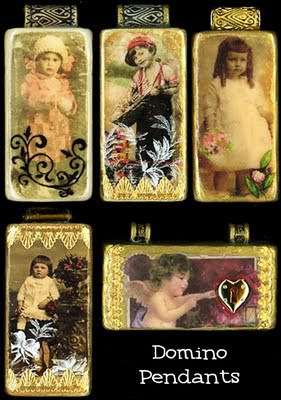 Here are some domino pendants I made for a Paper Traders swap some time ago. These are fun to make and give.